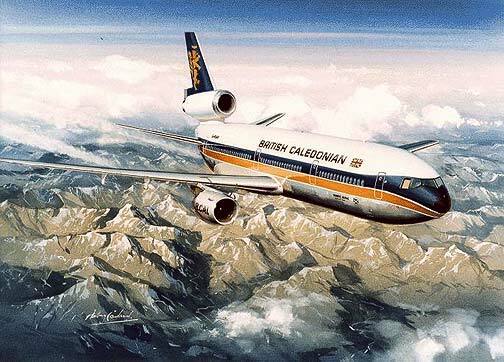 A British Caledonian McDonnell Douglas DC10 flies high above the Alps on its way to Africa. A British Caledonian McDonnell Douglas DC10 flies high above the Alps on its way to Africa. Named Robert Burns (hence the apt title) this print is sure to bring back memories of a very popular airline. A limited edition of just 250 each is signed and numbered by the artist Anthony Cowland. G.Av.A.